ILS Inventory has just been released. It will take some work to get it going at your institution. "This project is meant to be more or less self-serve; i.e. it will probably almost work for you out of the box, but will need some hacking." We have just released a PHP/symfony application for processing the inventory of ILS item, under the new BSD license. This is great for those of us with an ILS that can do data export, but lacks an inventory module. Code is included for importing items from III export files, as well as checking LC shelf-order. 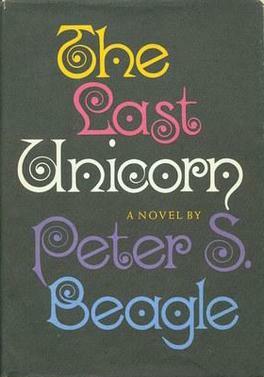 The Last Unicorn by Peter Beagle is now being published as a monthly comic book. It is beautiful. It also includes a decent interview with Beagle. I'm sure this will be collected into a graphic novel. If your library collects graphic novels or fantasy keep an eye out for The Last Unicorn . The following source code has been added to the Abbreviated Title Source Codes list for usage in appropriate fields and elements. The following source code has been added to the Availability Status Code Source Codes list for usage in appropriate fields and elements. The following source code has been added to the Caption Abbreviation Source Codes list for usage in appropriate fields and elements. The following source codes have been added to the Content Advice Classification Source Codes list for usage in appropriate fields and elements. The following source code has been added to the Gender Code and Term Source Codes list for usage in appropriate fields and elements. The following source code has been added to the Musical Composition Form Code Source Codes list for usage in appropriate fields and elements. The following source code has been added to the Musical Instrumentation and Voice Code Source Codes list for usage in appropriate fields and elements. The following source code has been added to the Price Type Code Source Codes list for usage in appropriate fields and elements. The Library of Congress has recently entered into a cooperative project with OCLC to receive and distribute revised name authority records for jurisdictions that will add geographic coordinates in 034 fields (Coded Cartographic Mathematical Data). The coordinate data has been extracted by the OCLC Office of Research from 670 citations and online geographic databases as part of FAST (Faceted Application of Subject Terminology). This project follows successful efforts by OCLC to enhance authority records with geographic data including 043 fields (Geographic Area Code) and 781 fields (Subdivision Linking Entry--Geographical Subdivision). It is expected that OCLC will be enhancing approximately 77,000 name authority records with this project. The records will flow through the normal NACO contribution and distribution streams. MDS-Names subscribers should expect a steady flow of these corrected records over the upcoming weeks until all records have been re-distributed. The digital information seeker: Findings from selected OCLC, RIN and JISC user behaviour projects has just been published by the JISC. One finding of the report: High-quality metadata is thus becoming even more important for the discovery process. DAIA, the Document Availability Information API provides a method of showing the availability of an item. DAIA is a data model to express information about the availability of documents and their particular copies for library-related services (loan, local presentation, open access online, interlibrary loan...). Its specification (http://purl.org/NET/DAIA) includes serialization in XML, JSON and RDF - use the format of your choice and get the other serializations for free. The current SVN repository contains the existing Perl implementation (that you can also get via CPAN), an implementation in PHP and an XSLT client for DAIA/XML. The VuFind project also contains a DAIA-Driver as client component. Feedback is very welcome, feel free to join. The project mailing list is https://lists.sourceforge.net/mailman/listinfo/daia-devel (don't be confused that the first mail is in German, we also know English). So how do you get availability information out of your library system?